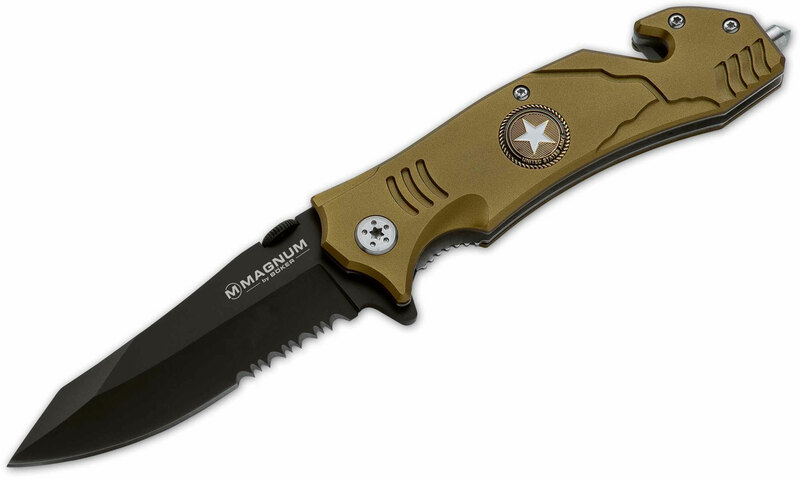 This series of highly functional rescue knives is dedicated to police, paramedic and rescue professionals, who do their best in their dangerous fulfillment of duty and often risk it all to save lives. 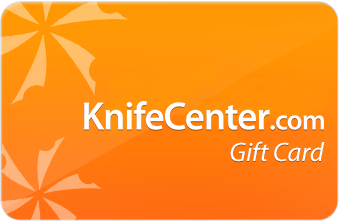 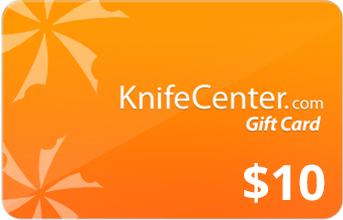 These knives are equipped with all the necessities – glass breaker, belt cutter, carry clip, and corrosion resistant 440 stainless steel blades. 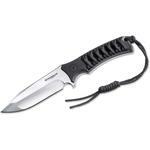 Black coated, partially serrated, reverse tanto blade with flipper, and olive anodized aluminum handle with U.S. Army crest. 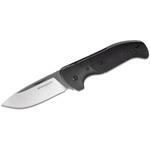 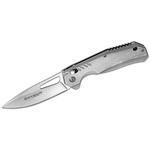 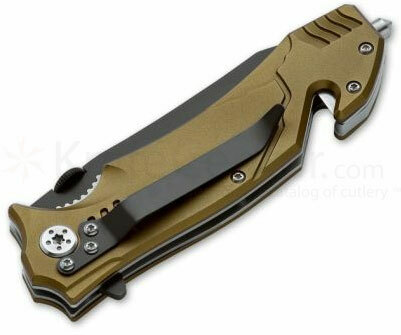 Hey, I wanted to share "Boker Magnum Army Rescue Flipper 3-2/5 inch Black Combo Blade, Olive Aluminum Handles" with you from KnifeCenter.